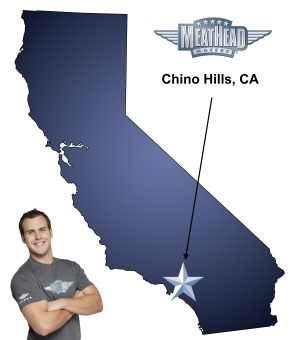 Meathead Movers is here to take care of the heavy lifting for you on your move to Chino Hills. Our clean-cut student athlete movers are ready to get you safely settled into your new Chino Hills home. Situated in San Bernardino County, Chino Hills shares borders with Los Angeles County and Orange County, and despite its ideal location, the town is a hidden gem with a population just north of 75,000 people. Individuals who are moving to Chino Hills will be happy to know that Meathead Movers can help with every aspect of their move. Not only is Chino Hills one of the best places to live, it is also an incredibly affordable place. The city has a median household income well above the state average, and with affordable rent prices, this city ranks high on the affordability index. Residents of Chino Hills can expect to experience beautiful California weather year-round with an average high temperature of 75.2 degrees Fahrenheit. This great weather gives its residents the perfect opportunity to get out and explore the great outdoors, and with Chino Hills State Park situated in town, there are endless adventures to be had. The park has more than 14,000 acres of wilderness with numerous trails, cliffs, rivers, campgrounds, and cabins. The city is also located 15 miles south of Angeles National Forest, which consists of more than 700,000 acres of land and contains several mountains. Besides the great outdoors, the city also has wonderful amenities for its residents. The town provides a wide variety of high-quality restaurants, such as Boiler Steam Kettle Cooking, Mes Amis Restaurant and the Yardhouse Bar and Grill. Chino Hills also has numerous coffee shops such as Lee’s Cafe, the Miso Cafe and the Corner Bakery Cafe. You can catch up with some of our student-athlete movers at the cities numerous health clubs including popular Anytime Fitness, Crossfit Chino Hills and LA Fitness. A resident can also find gyms that offer high-intensity workouts, such as the Agape Fitness Bootcamp. We have a reliable fleet of trucks for long-distance moves, and have climate controlled storage facilities, if your new home is not ready. We pride ourselves on going above and beyond on every one of our moves. Our personalized moving concierge service is available to connect you with any service you may need throughout your move. Our Chino Hills movers jog when they are not carrying your items, and these athletes will use high-quality dollies and straps to transport particularly heavy objects. Furthermore, our experts provide customer service seven days per week meaning we’ll be here when you need us. Whether you would like to obtain a free no-obligation moving quote, discuss a strategy on how to tackle your upcoming move, learn more about the techniques and equipment that our Chino Hills movers use or to learn more about the guarantees that we offer, give us a call at (866) 843-6328 today. Moving to Chino Hills? Here are some helpful resources. View more Chino Hills resources. On time, friendly group of athletes. The care they each took with our furniture was huge. The movers were fast and efficient in their jobs. They handled all the fragile boxes with care. My only issue is one of the three movers began to stare at me as he was moving furniture/boxes. It was slightly uncomfortable. Then later in the day, this same mover accused me of being sarcastic and condescending towards him. I was in complete shock and confusion trying to figure out what I had said or done to make him think such. After that conversation, I was very uncomfortable asking this mover to do anything because I didnt want to offend him. Besides that, the service was great and I’d definitely recommend Meathead movers to friends and family. The movers did an excellent job, were really friendly and moved my stuff efficiently.